Have at it people, our world is in your hands! Apparently South Park did an episode just like this recently but, but, like... I've been laying the groundwork for this since comic 15 so how about you back off, Matt Of Trays. I want to really apologise for the badly drawn knitting in the last panel. I looked up reference, I did! But I didn't understand what I was looking it at what even is knitting how does it even work??? 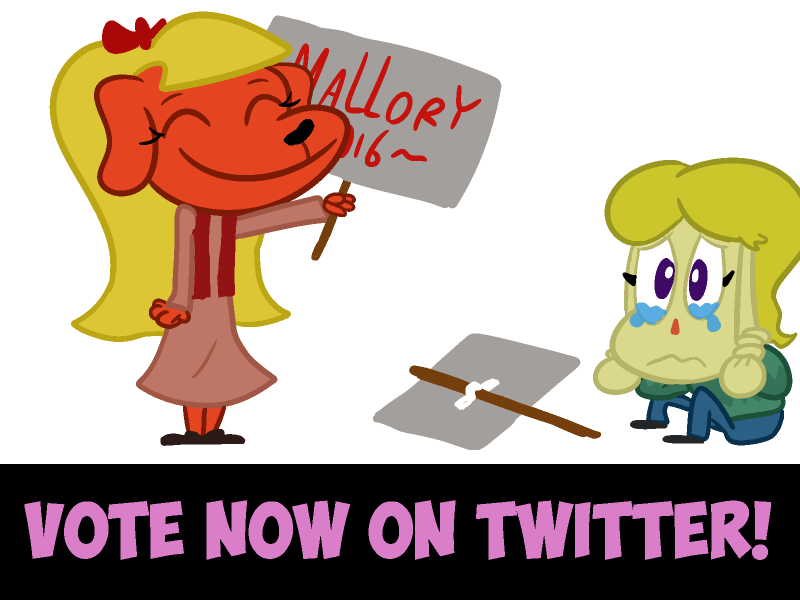 Mallory needs your vote! Vote today for Mallory. A strong leader who will get things done to people who aren't me is what we need. I am exempted from her rule right? Pretty sure I am, I must be with how awesome I am...vote Mallory! I'm confused. Is the skunk Hillary or Trump? Or is this some other election?